Ocean Infinity stands ready to resume the search for missing Malaysia Airlines Flight MH370 on a no-fee, no-find basis and says it is better placed to conduct it than it was 12 months ago. OI chief executive Oliver Plunkett said in a video link to a weekend event to mark the fifth anniversary of the crash that the world should not give up on finding the plane. MH 370 went missing five years ago with 239 people on board while flying between Kuala Lumpur and Beijing and has been the subject of two unsuccessful searches. 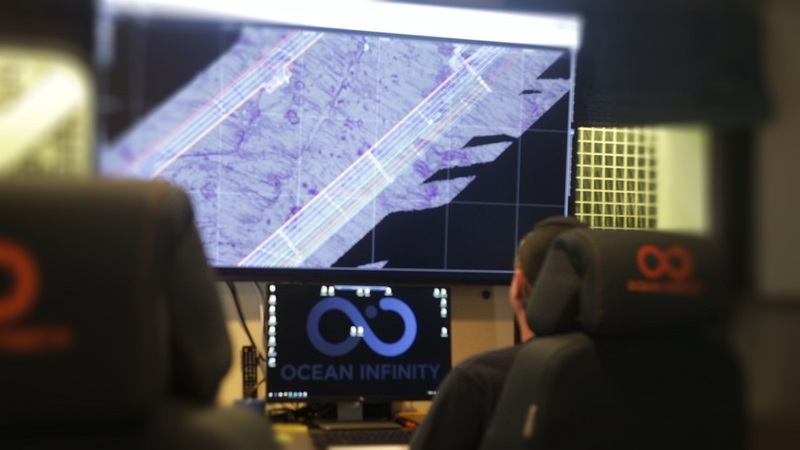 Ocean Infinity conducted the second search for the missing Boeing 777 using a fleet of autonomous underwater vehicles to sweep the seabed. The company’s technology allows it to deploy multiple, untethered AUVs equipped with a side scan sonar, a multi-beam echo-sounder, a sub-bottom profiler, an HD camera, synthetic aperture sonar and other sensors. Since then, it has found the sunken South Korean ore carrier Stellar Daisy and the Argentine navy submarine San Juan, which went missing with 44 crew on board in late 2017. Plunkett ’s comments came as the Malaysian government reiterated its willingness to resume the search but said there needed to be a fresh proposal with credible leads. In an interview before the weekend celebrations, Plunkett told AirlineRatings the company had not had contact with the Malaysians since the end of the search last year. He said he did not believe the Malaysian government had stopped thinking about the search but noted its comments about needing a credible lead. It was interesting to speculate what that might be and he believed there was a conversation to be had. “But I’m not unsympathetic to the view that they’re nervous about getting people’s hopes up only to be disappointed of the third time and issues of that nature,” he said. READ: Malaysia says it is willing to look at fresh proposals to resume search. The search expert told families gathered to remember the event on the weekend that he remembered very clearly the sense of excitement and then the disappointment at not finding the wreckage. Plunkett said the company had spent an enormous amount of time reviewing and analyzing different theories and ideas that had been sent to it. “We look at everything that we’ve been sent because as we said last summer, it is absolutely our intention — if we can — to return to the search. “Over time, what we’ve done is very exciting, it’s really proven the technology. We’ve worked hard on our processes, our systems, our procedures. He said it was hard to describe how difficult the search was for the San Juan, how small a target it was and what a remarkable achievement it was to find something fundamentally designed not to found by sonar. Describing the search for MH370 as being of global importance, he added: “We shouldn’t give up. In the interview with AirlineRatings, Plunkett said he had seen nothing compelling to dismiss the so-called seventh arc defined by handshakes with an Inmarsat satellite that helped define the original search. “It’s right to challenge it, it’s right to question it but I don’t know that you can dismiss it,” he said. He also pointed to the debris washed up on Reunion Island and the East Coast of Africa as well as independent ocean drift studies that corroborated a big area around the seventh arc. “So … if you tie the two together I find myself thinking it’s around there somewhere,” he said, adding he didn’t think in terms of pinpoint targets in a seabed search and experience told him it was “almost never in the box”. On the debate about the original search, Plunkett agreed that the Australian Transport Safety Bureau had done the best that could be done in setting the search area given when they started and what they started with. “They had a center line, the seventh arc. So if that’s all you have and you have a choice and you can see the weather coming, only a fool would start north and work south. “At which point you’ve only got one question, which is how far to the east and the west of the arc do I go? The executive also revealed he had met some of those advocating sweeping an area at the southern end of the search area consistent with a controlled descent at the end of the flight. But he said the second search area had been pre-determined and searching that area was not what OI had agreed with the Malaysian government.